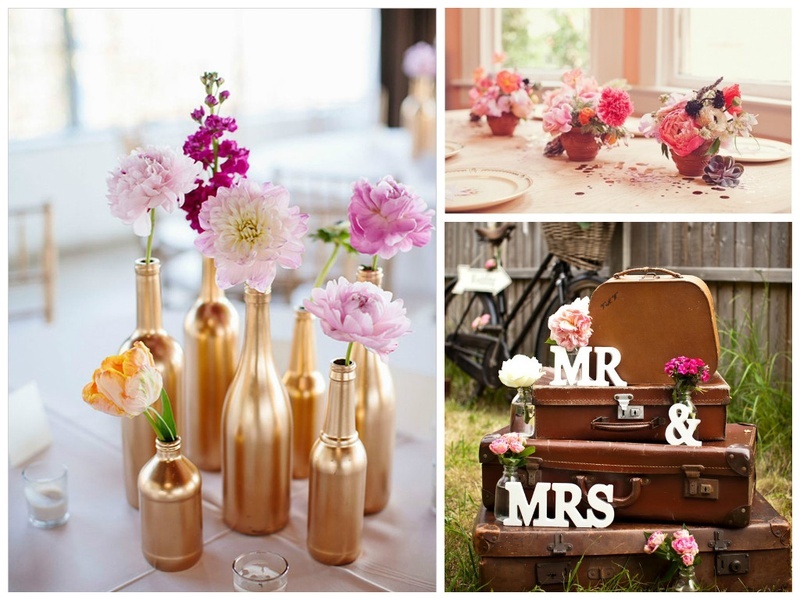 5 Creative Ways to Use Home Décor as Wedding Décor and Vice Versa! Given that the average Indian wedding costs just about a bomb, we’re all looking for ways to cut down on that never-ending list of fancy expenses that our wish-list includes. But with all the flair, drama and dhamaka that our Indian weddings are accustomed to, that just doesn’t seem to be possible, does it?! Decorations are the most important while setting the mood for any wedding and these super-creative, reuse and recycle ideas will not only look lit AF but also save you some big bucks. All you need is sure to be lying around your house. Not exactly home décor but everyone has a bunch of suitcases lying around their house. And if you’re as busy as the average working Indian, they probably haven’t been used in a while! So, get them out of their musty corners and make use of them already. Check out these quirky ideas on how to use something as basic as a suitcase and make it one of the cutest decorations on your wedding day. These everyday household items are perfect for creating some of the prettiest wedding decorations, centrepieces, table settings and a number of other stuff. You probably wouldn’t have as many of these at home to decorate an entire venue so ask mum for some more. Every mother has hoards of unused utensils, containers and what not. We don’t see it, but we know they’re there! If you’re clueless about how to go about placing them, these should give you some fabulous ideas. This is one of the decoration ideas at your wedding that you can carry forth as home décor as well. You might have to spend a little on sourcing good enough birdcages but we assure you, you wouldn’t be disappointed because what you can do with them as home décor is pretty awesome. Give your room a make-over! You can use them as candle stands, flower holders or even fruit baskets! Whatever you pick, it’ll certainly add a whimsical charm. After plants, paper lanterns would be the most economical decoration idea at your wedding. Well, whatever it may be, paper is not going to burn a hole in any man’s pocket. Also, this one is highly DIY. Make it a pre-wedding project, get your friends to join in and have some fun with it! Check out the pictures below to see how you can reuse them as some pretty cute home décor accessories that will surely add fun vibes around the place.